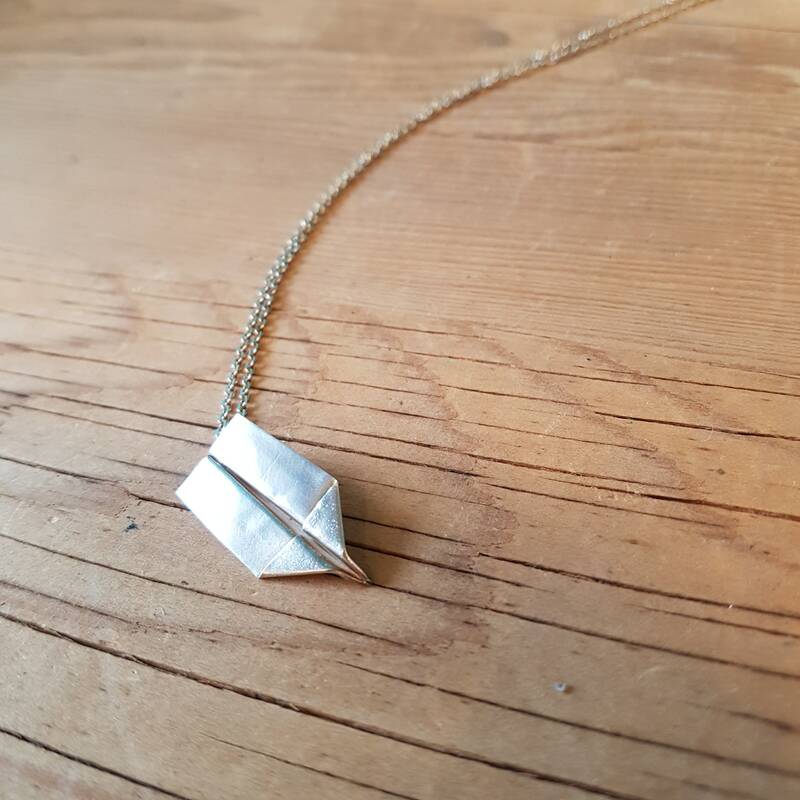 Fly free while wearing this hand folded fine silver paper airplane necklace. 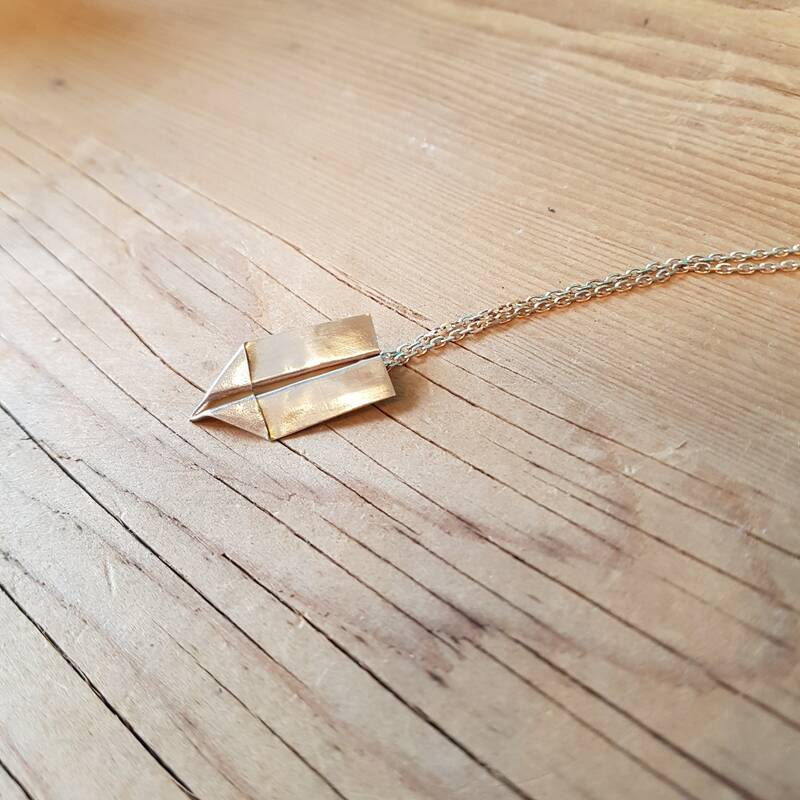 Each pendant is individually hand folded right here in store, then fired in a kiln and hand polished to a bright shine. 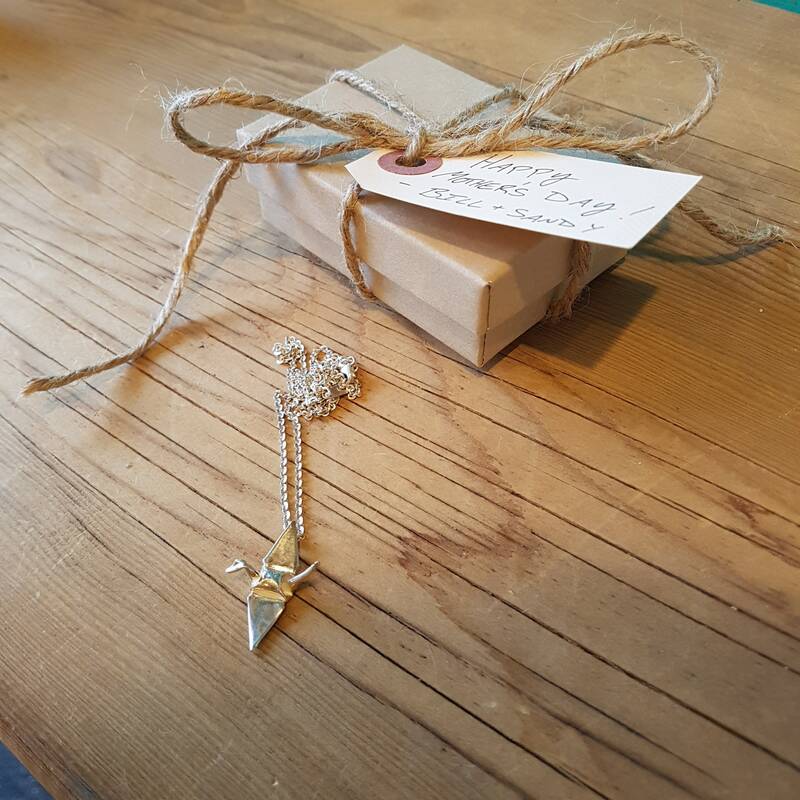 Comes gift boxed with information card about the artist, Neogami Origami Jewellery. 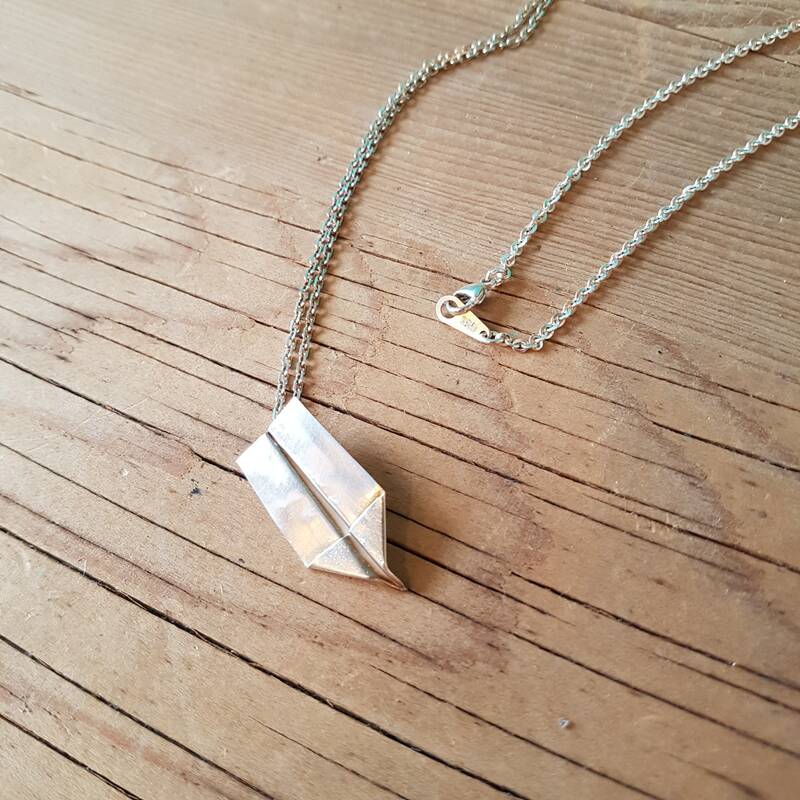 Crafted by hand in Toronto, this pendant is made from fine silver which is 99.9% pure, and hung on an 18 inch sterling silver chain. 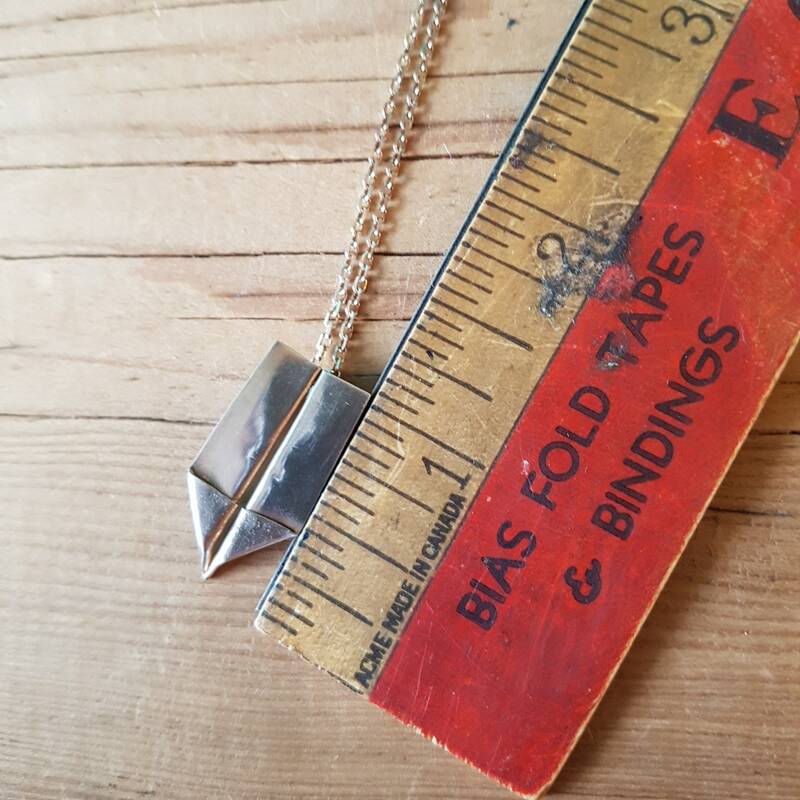 Fine silver is somewhat more malleable than sterling so this necklace may not be appropriate for all. Like any silver jewellery it will tarnish over time, but this can easily be removed using a jewellery polishing cloth. Comes to you in a kraft gift box as pictured, and ships within a sturdy carton to ensure it's safe arrival. Customers in the GTA can enter coupon code LocalPickup at checkout to remove the shipping cost so you can pick up at your convenience.